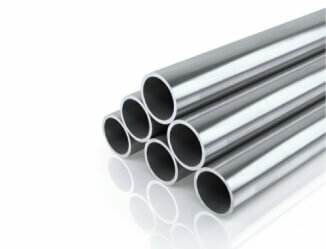 Stainless steel is a high strength, corrosion resistant material. This makes it perfect for outdoor projects. It is extremely workable and therefore is a great application in the creation of circular hollow sections. Stainless steel circular hollow sections are perfect for use in outdoor projects such as columns due to the fact that it combines the strength of steel with corrosion resistance. The aesthetic appeal of stainless steel also makes it perfect for use in open building construction.